3-12-10 was a very active weather day here in Milledgeville, GA. Lots of severe weather across the state. It's been raining for the past 3 days. 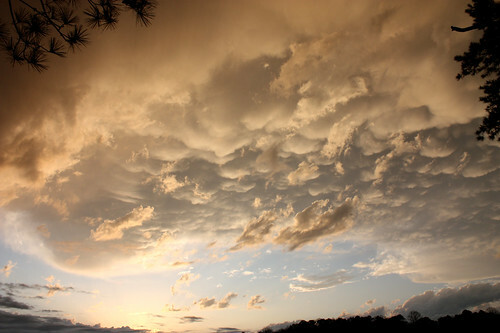 Earlier I managed to catch these amazing mammatus clouds. I don't recall ever seeing them in person before. Very interesting end to a rainy week! Please do not use any of my photos without my full consent. (c) Danielle A. Davey. Publishing this photo in ANY way without FULL permission is against copyright laws.